Precision machined high quality aluminium alloy construction. 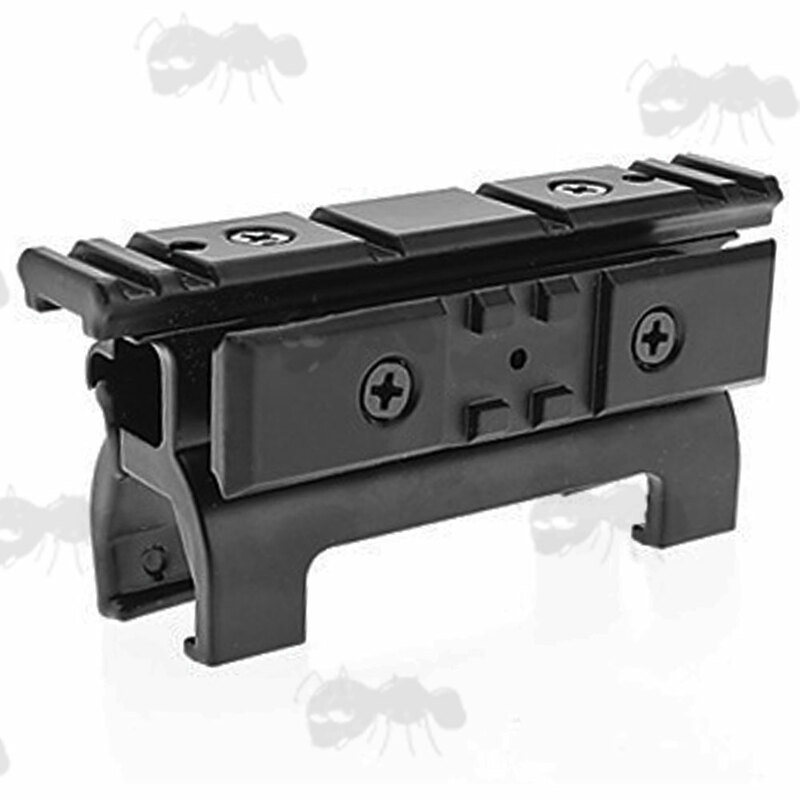 Transform your H&K type gun to be capable of mounting various devices on this picatinny rail mount. Such as scopes, tactical lights, red dots, lasers and hand grips etc. Easy and fast to fit with no mod needed, very sturdy fit. Picatinny rails accept both picatinny and weaver mounts. Link to our SMG claw mount fitting guide page. 3½ inches / 90mm long overall. 7/8 inch / 22mm high overall. 5 inches / 127mm long overall. 1 inch / 25mm high overall. 5 inches / 126mm long overall. 1.1 inch / 28mm high overall. Next > High-Profile Claw Mounts. 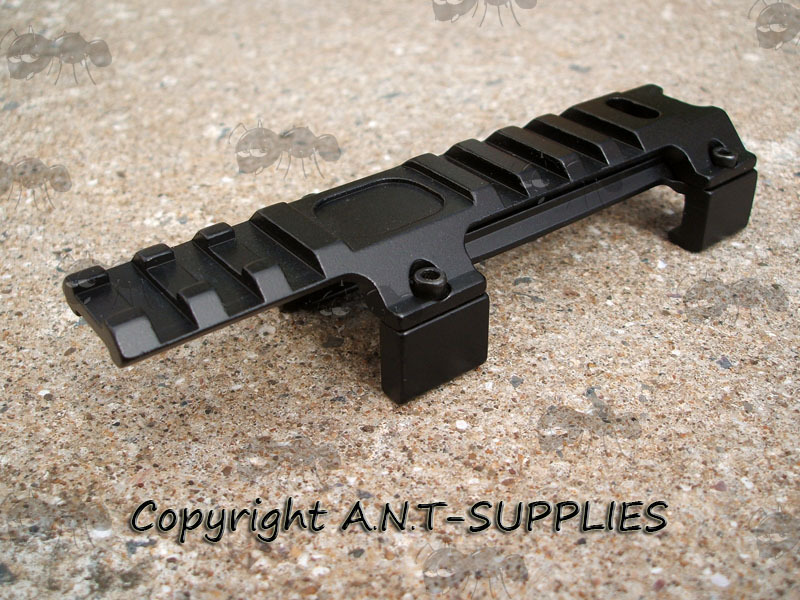 Detailed low profile, one piece claw mount. 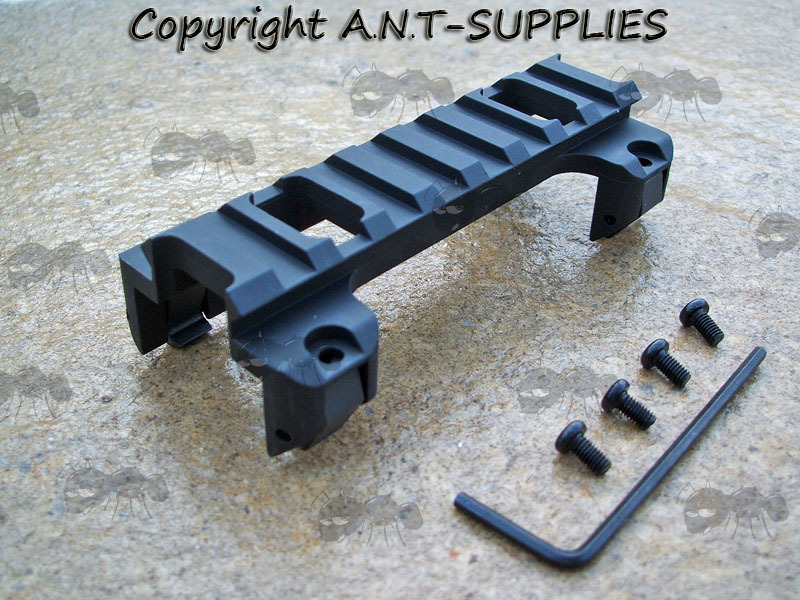 Provides a 20mm picatinny rail. With four allen key screws (allen key not included). 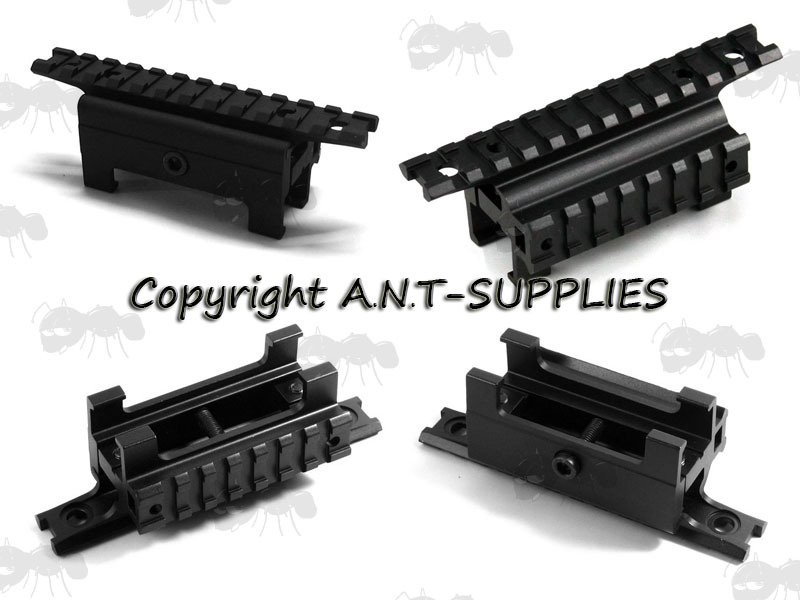 For MP5, G3, G3SAS, MC51, SG1, MP5K, GSG-1, GSG-5 etc. Not designed for the PSG-1, please see the mounts below for PSG-1 option. 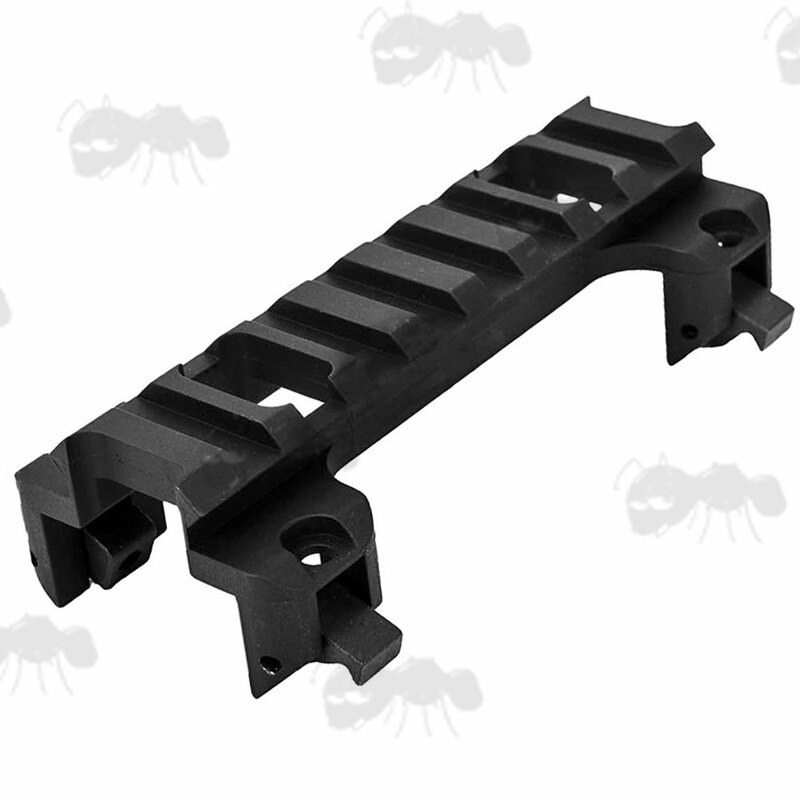 The forward reach version is not a continuous rail, so best suited to use with ring mounts. 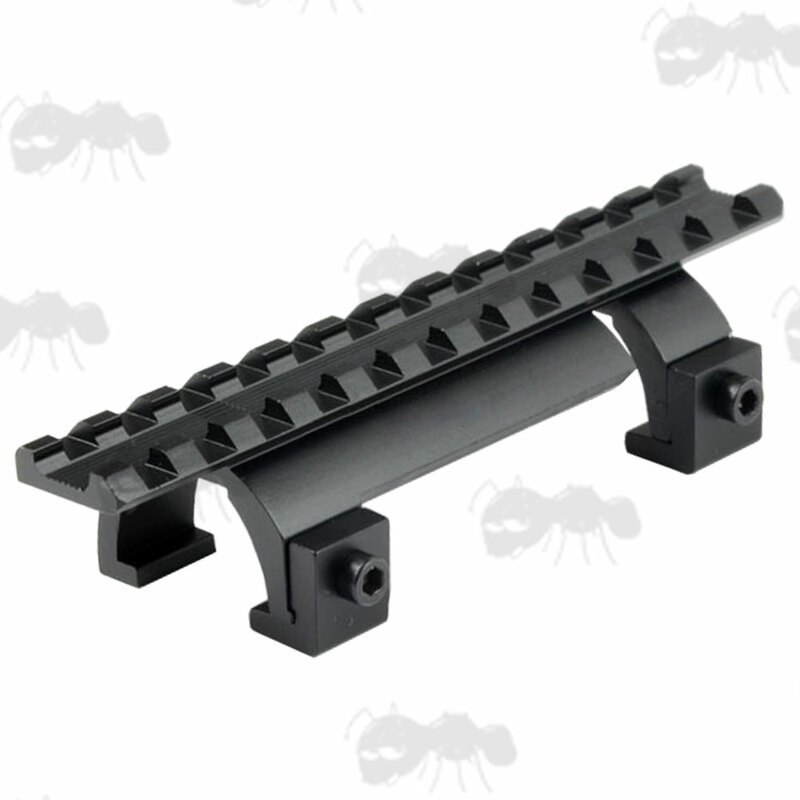 PLEASE NOTE; some scope mounts are not fitting tightly on the standard rail version. It appears to depend on the scope mounts clamping plate. To reflect this we have reduced the price. 4 inches / 104mm long overall. 1 7/8 inch / 47mm high overall. 5.25 inches / 132mm long overall. Detailed high profile claw mount. 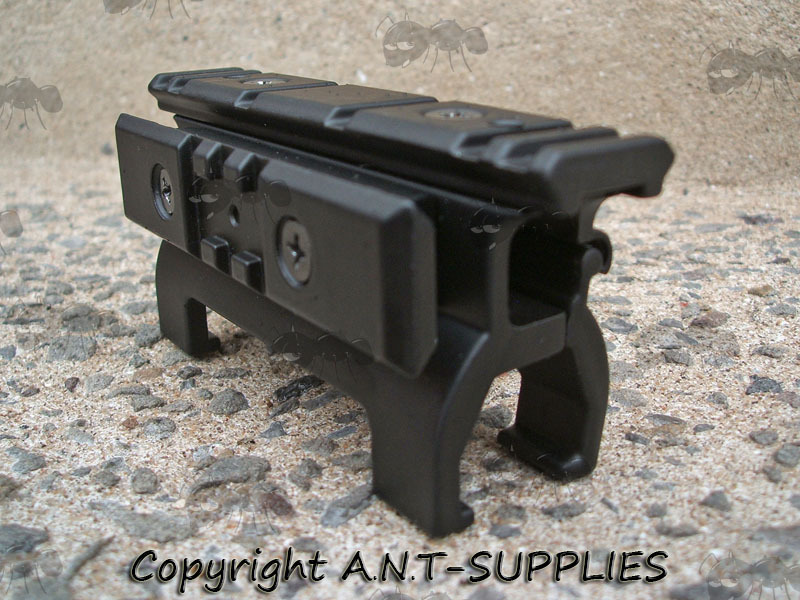 See-thru design to still allow the use of your iron sights. 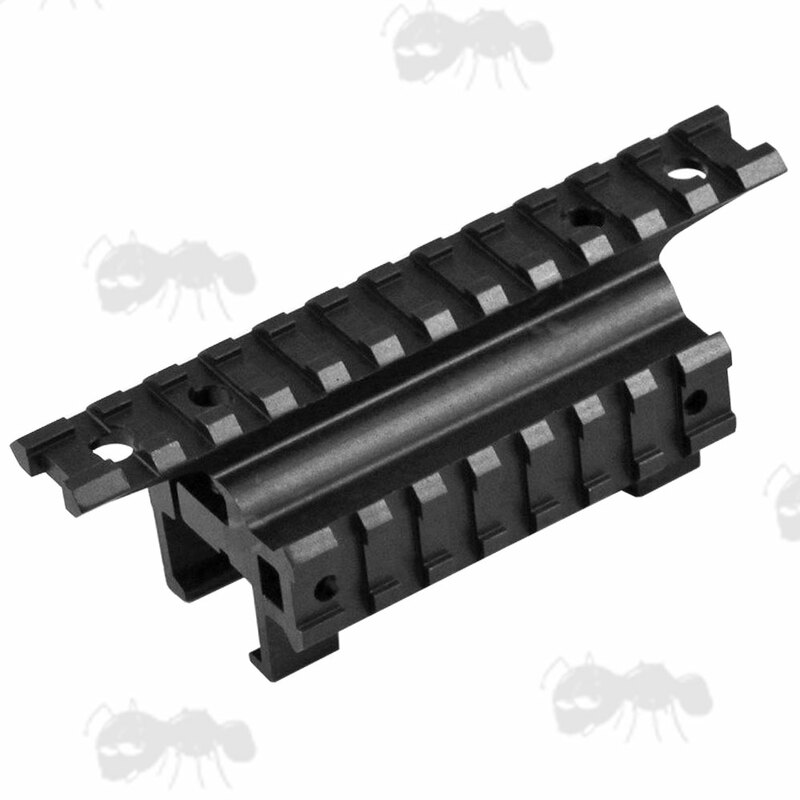 Provides a 20mm picatinny rail with a see-through channel extra side rail. For PSG-1, MP5, Marui G3A3, G3A4, G3SG1, MP5A4, MP5A5, MP5SD6, MP5SD5, G3, G3SAS, MC51, SG1, MP5K, GSG-1, GSG-5, Classic Army CA33E, etc. 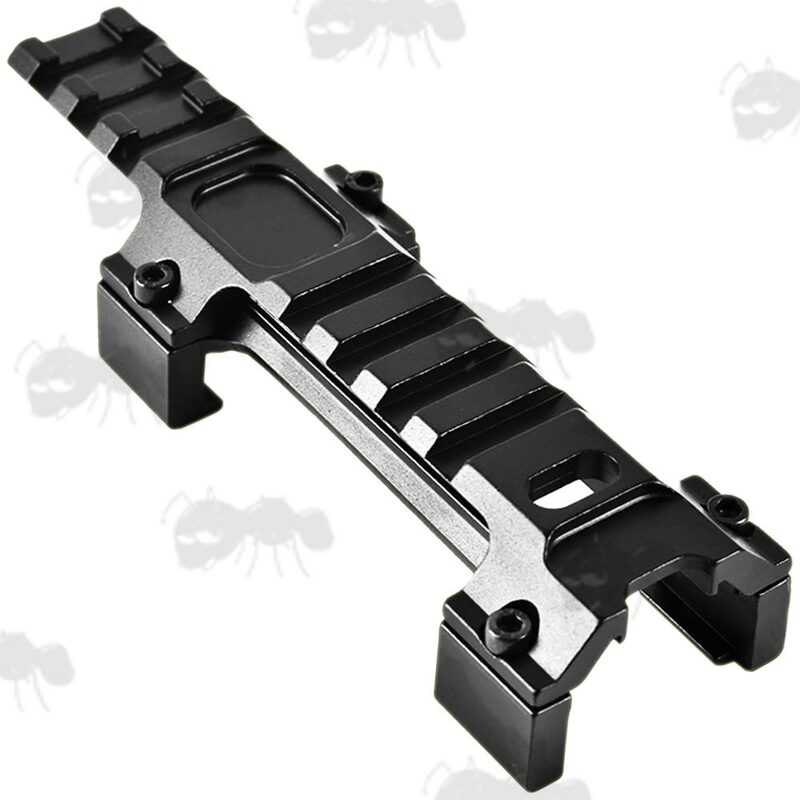 We recommend the fixed rail mount for the GSG-522.